Want to remove audio from video? Suppose you shot a great vacation video on your smartphone and you want to post it on YouTube. But there's one problem. What do you do about all those unwanted sounds – like car noises, gusts of wind, and random chatter – picked up by the microphone? The easiest solution is to completely remove the sound from the video and replace it with your choice of soundtrack. To do this, you'll need an audio remover app that will turn your video into a silent movie. 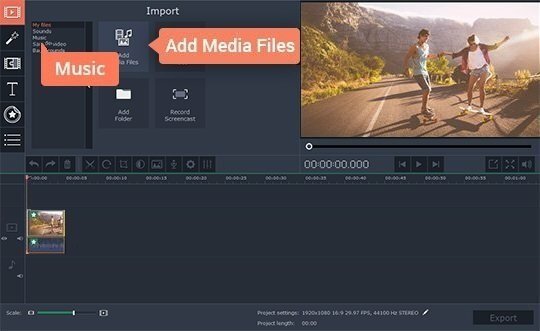 If you're wondering how to remove audio from video, we recommend you try Free Video Editor. 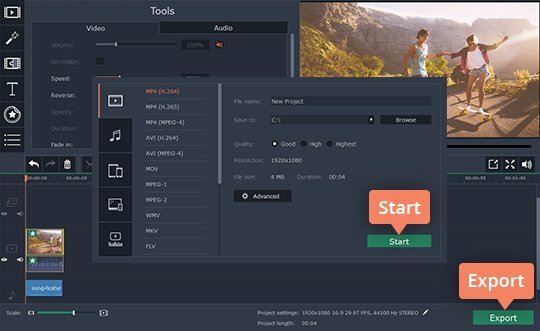 It's a multi-functional program for PC and Mac that will help you remove audio from an MP4-file, MOV clip, or any other format of video file. Download the program, read our guide, and you'll learn how to mute a video and add your own soundtrack in no time. Open the file you've downloaded and install the program following the instructions. 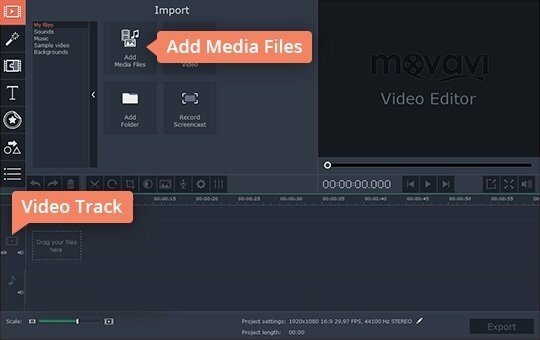 Click Add Media Files and upload the videos that you want to cut the audio out of. You can also simply drag and drop the videos on the timeline in the lower part of the program window. Your clips will appear on the Video Track. 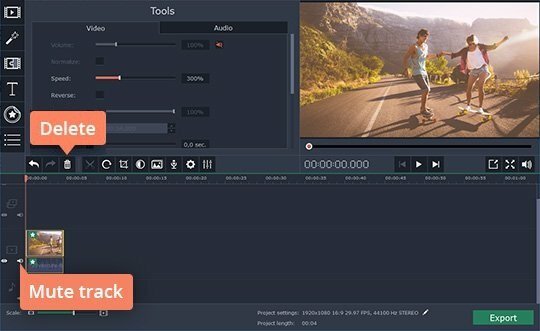 There are two ways to take audio from video using Free Video Editor, and both are very easy. First, you can simply click the little Mute track icon, as shown in the picture. This will mute the audio attached to all of your clips on the Video Track. Click the icon again to unmute the whole track. Another approach lets you get rid of the audio from any individual clip on the timeline. Select the audio attached to a particular clip (audio is recognizable by the waveform). Then click the trash bin icon above the timeline or hit Delete on your keyboard. Now you can upload your own choice of music to match your footage. Click Add Media Files again and select the audio files you'd like to add. Your audio will be placed on a special Audio Track on the timeline. You can adjust the audio length by dragging on its edges. You can also use music from the program's built-in collection – just click the Music button, choose a track you like, and drag it to the timeline. The only thing left to do is save your video. Click the Export button and choose an appropriate export format. Finally, click Start. Now you know how to remove the sound from a video with Free Video Editor!